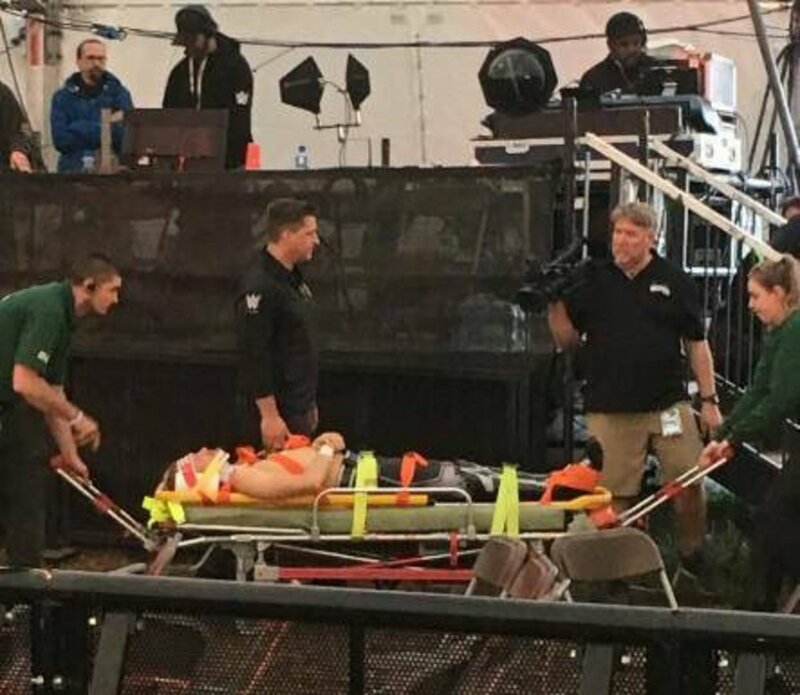 We have received breaking news that in the course of a match involving The Authors of Pain, UK star Mark Andrews took a clothesline from one of the current reigning tag team champions and landed badly on his head and neck, which caused the star to roll out to the floor and immediately get tended to by doctors on the scene. The match was ended shortly thereafter and Andrews was loaded into an ambulance and taken out of the arena. We have no further updates at this time but we will relay them when they become available to us. This incident occurred at this weekend&apos;s Download Fest in the United Kingdom.